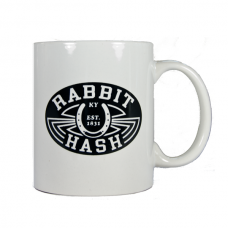 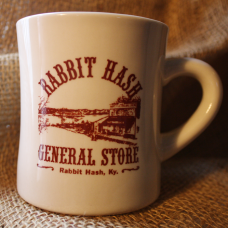 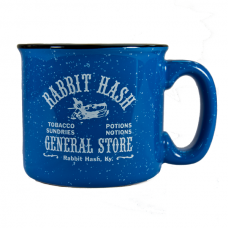 Variety of Rabbit Hash General Store coffee mugs: ceramic, oversized, Old Navy style, mason jar, and more. 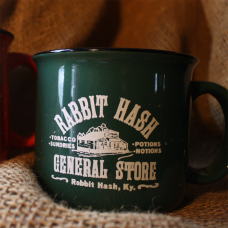 An oversized, 16oz coffee mug with a logo of the iconic 183 year old general store on both sides. 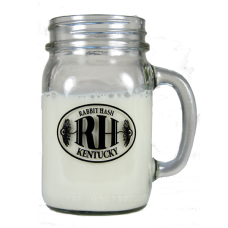 A ..
Old fashioned idea of drinking from a mason jar comes alive when you put a handle and a fun logo rei..